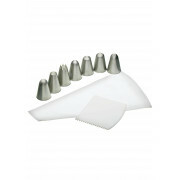 Nine piece icing set from Sweetly Does It range for decorating cakes, biscuits, and buns with icing or cream. 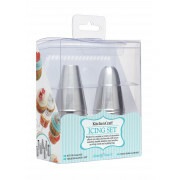 Includes a washable plastic lined piping bag, seven stainless steel nozzles and an icing spread comb. 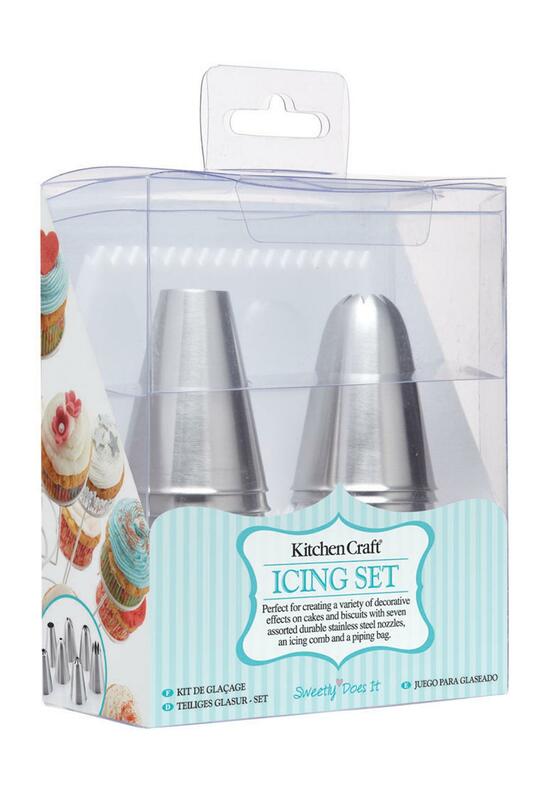 Simple to use, just choose the nozzle and place at the end of the piping bag.